Deck the halls with pickles. If you love pickles, then good news! A long, little-known dream of yours has just been fulfilled. This Christmas, while everyone decorates their trees with sweet candy canes, you’ll get to deck the halls with something a little bit of a different flavor. 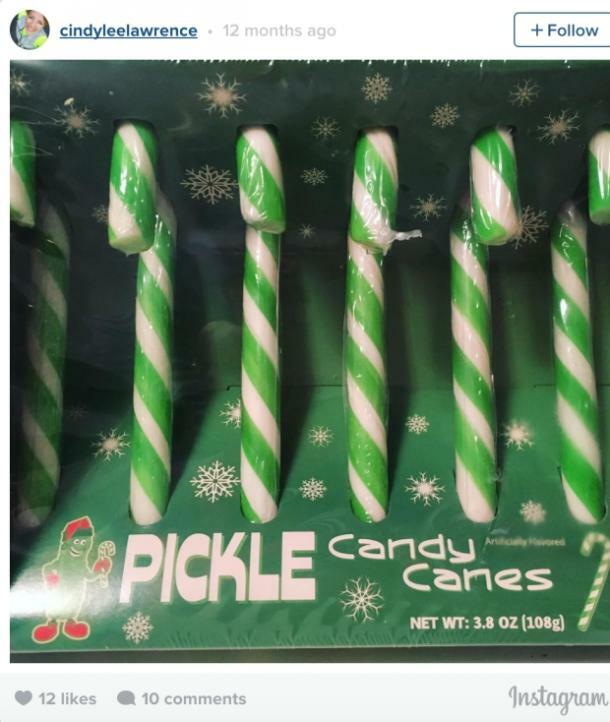 That’s right: pickle-flavored candy canes just got created, and they are every bit as magical as you’d hope they are. If you could never stand the jaw-twinging sweetness of candy canes and longed for something a little different, then your hopes have been answered. Either that or Jolly Old Nick should have been getting pickles all these years instead of cookies. These pickle candy canes look every bit as awesome as their sweeter cousins but boast a subtle tang instead of overwhelming peppermint or sugar. 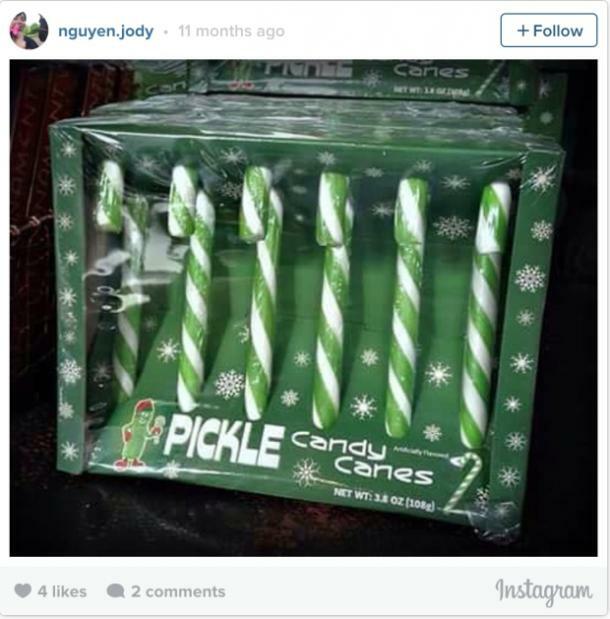 Unique candy cane flavors seem to be all the rage, and it’s no surprise that the pickle flavor rests in the annals of the internet alongside bacon, gravy, and wasabi candy canes. If Lays and Oreos have taught us anything, it’s that people love to try weird, seemingly bizarre combinations of food. Who would ever have thought that so many companies and different snack food makers would follow suit? So while pickle, wasabi, or crazy-flavored anything may not seem like the best way to ring in the holiday, there was clearly a demand for these products! You can go to Amazon, AKA the best place on the internet to find anything weird or bizarre, and order yourself a box (or several!) right now for only $8.90. Try all the different combinations! Deck the halls, your tree, and even your mouth in some of the best, unique, most interesting flavor combinations of all your favorite foods. I mean, who decided that Christmastime goodie foods needed to be overwhelmingly sweet, anyway? Don’t just make another boring old gingerbread house this year — make an interesting flavor challenge that will be sure to delight your palette all through winter!